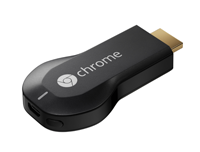 If you own a Google Chromecast streaming device, you can easily share a browser tab in Chrome browser or even your entire desktop. This can be very useful when presenting from your laptop or if you just want to watch something on a big screen that is only on your PC. The only requirement is you must be on the same network as your Chromecast device and using a recent version of the Chrome browser. Keeping an eye on your system performance is a must for any power user but using Task Manager or Resource Monitor can be inconvenient. In Windows Vista Microsoft created sidebar gadgets that displayed useful performance information on the right side of your screen. Unfortunately, Microsoft pulled the feature from Windows due to “serious vulnerabilities.” Picking up where Microsoft left off, a new utility was created by Ryan K. (ArcadeRenegade) on GitHub called Sidebar Diagnostics. This free utility displays all of the important system performance stats on a sidebar with a simplistic design. Do you use Windows late and night or before bed? Studies have shown that exposure to bright blue light before bed can make it harder to fall asleep. And if you are working in a dark room, this bright light can make looking at your screen difficult. A unique free app called f.lux was designed to solve this problem by automatically adjusting the amount of blue light your screen displays throughout the day.